Humboldt County, California psych-outs WHITE MANNA present Pan, their fourth full-length since 2012. The LP is a split release – it’s the band’s second album for both Captcha Records and Cardinal Fuzz in the UK. Pan is the equivalent to a surging psychedelic whirlwind, however you keep second-guessing what you’re hearing because little do you realize you’re stranded in the center of a scorching desert. That said, if mirages had their own sound, Pan would be exactly what you’d hear. Expansive tracks are detailed and stretched out across a massive plain, much like the landscape of the barren desert you find yourself trapped in. The LP is 6 tracks long and contains over 45-minutes of sun-baked space rock, giving the band ample time to chart their mysterious path to a sanctuary through the wicked heat of complete desolation – the question is whether or not you end up at your destination. The 7-minute monster “Dunes II” is a perfect example of their heat-plagued sound, where guitars are seething and sweltering in a thick cloud of humidity that you can reach out and scratch with your fingernails. The air is heavy and you can feel your body warm as you breath in the smokey vapor they’re producing – vocals are rippling and warbled, while guitars growl and muster and eventually explode with progressive intensity. “Evil” is a 5-minute banger leaning heaviest on punk (a track of its own kind on the LP), unfolding with two invigorating chords that quickly gets your blood boiling in a storm of vibrant color. The track stays true to their own formula of lush landscapes with substantial repetition. They expose their spacey edge in “Beta Travelers,” garnering cosmic effects and sounds as they send you deep into a black hole without directions on how to return home – the rest is up to you. Album closer “Eshra” calmly floats in and suddenly places you into a full-on space rock environment, growing and expanding into a journey of its own. They’re finally creating that moment where you can sense your destination right around the corner, you just have to continue following the astral path they carve out a little longer to get there. Tom-tom heavy rhythms close out the track and trample over everything in sight as cascading guitars and bass swell into a crushing finale. The come-down begins to take a hold and cools everything into a smooth finish – you’ve made it. Hop on-board and start listening below – you can grab the LP if you wish, just follow the links below. 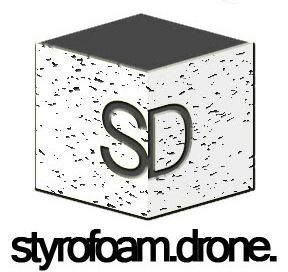 Posted on May 28, 2015 May 28, 2015 by styrofoamdronePosted in LP, ReviewsTagged Captcha Records, Cardinal Fuzz Records, LP, Pan, psychedelic, punk, space rock, White Manna. Great mix of sludge and garage… Loving this!